There's a line of thinking on the political left that Mitt Romney served up a great softball in picking Paul Ryan as his running mate. Vice President Joe Biden, eloquent as always, told a mostly black audience in Virginia that Republicans want to put "y'all back in chains." Although Biden has taken flak for this nauseating remark, he should get credit for summing up how Democrats really think: that government running your life makes you free and that anyone who proposes freedom and choice wants to put "y'all back in chains." Earlier this year, Douglas Elmendorf, director of the nonpartisan Congressional Budget Office, sent a report on the nation's budget to House Budget Committee chairman Ryan. "The explosive path of the federal debt that the Congressional Budget Office (CBO) projects under what many observers would view as current policies underscores the need for policy changes to put the nation on a sustainable course. "The aging of the population and rising costs for health care will push spending for Social Security, Medicare, Medicaid and other federal health-care programs considerably higher as a percentage of gross domestic product (GDP)." Elmendorf concludes that without major increases in revenues and/or substantial cuts in spending, "the resulting budget deficits will increase federal debt to unsupportable levels." So Paul Ryan's high crime is being courageous, honest and leveling with the American people about the tough realities facing us. He, like most Republicans, believes that raising taxes, when our economy is growing at half its historical average, and with the unemployment rate 40 percent higher than its historical average, is economic suicide. So Ryan takes on the major culprits in driving our long-term fiscal crisis -- entitlements spending. Is this "magical thinking?" No, it's guts. And what courageous measures do Democrat critics take on? No major spending-reform proposals and no across-the-board tax hikes, which Elmendorf suggests as the alternative. Just the usual class-warfare rhetoric. Tax the top one percent, who already pay 39 percent of income taxes, and who alone could never cover the huge deficits that CBO is projecting. In 1975, 10 percent of the population was on Medicaid. Now it is double that. Ryan's idea of block-granting federal funds for Medicaid to states would give local latitude and responsibility to promote innovation to make more productive use of limited resources. A new study published in the journal Health Affairs reports that 31 percent of physicians refuse patients on Medicaid. Yet, when innovative business models emerge to deliver care in underserved poor communities, they are attacked by the left. The Center for Public Integrity, whose funders include George Soros, has posted on its website that Ryan's budget plan is a "Path to the Poorhouse." Yet it also attacks dental health maintenance organizations, a recent business concept to organize dental practices, making it feasible to accept Medicaid reimbursements and provide dental care in poor neighborhoods. There is a saying that you can bring a horse to water but you can't make it drink. 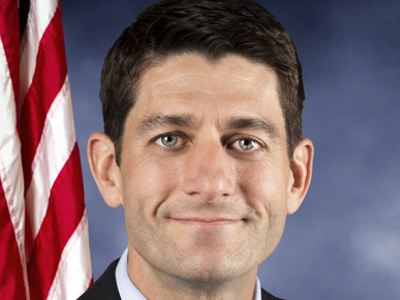 Paul Ryan is courageously delivering truth to the American people, boldly and clearly. He can't make anyone drink the water. But if honesty and courage is no longer what sells in America, we can be sure that the future is not pretty.